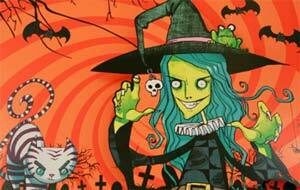 Our posts about Asda Halloween products are (surprisingly – or maybe not) some of our most popular posts. Every year, finding out about the what new Asda Halloween products are going to be available for the coming period is one of our highlights. Mainly because it means that Halloween is just around the corner, but also because without a doubt, Asda have the most comprehensive, affordable and exciting range of Halloween products every year. As a result of this, each year we take it upon ourselves to test as many of the Asda Halloween products as possible in order to report back to you guys. This comes in the form of extensive posts with descriptions and ratings and even our Asda Halloween review videos which are as much fun to make as they are to watch. Because we’re trying to find a way to make our site more user friendly, it made sense for us to create an area where you can easily find everything you need for to read up on the latest spooky Asda offerings and not be confused with some of our older content. So take a look below to find the Asda Halloween content that you’re after. Asda Halloween 2017 Sneak Preview – NEW! So glad I came across this site!! I love halloween and look all year round for tips and tricks to decorate my whole house. We’re really glad that you like the site and we’re working hard to add even more great features in time for Halloween 2013 (including plenty of stuff on the 2013 Asda Halloween range). Thanks for the info Relisys. Although in our recent experience, it usually takes a while for the stores to fully stock their Halloween products. In my local stores for instance, we usually get a couple of aisle’s worth towards the end of September, then a couple of weeks later maybe four aisles. I enjoy the asda range but they seem to be getting later when it comes to their halloween range. I hope asda have some unique decor this year. Last years stuff was ok but nothing really stood out. Previous years they had the butler and witch props that stick in the mind, but last year seemed to be the same stuff. Well, we can confirm that 2013 sees the return of one of the previous year’s bigger props (in name at least). Full details will be published on Halloweenerrific VERY soon! Ah fun-kins, the less messy alternative that you don’t have to throw away shortly after carving. They really do need to start selling those over here. I’m sure they’d be popular. Haven’t seen anywhere that does sell them yet though sadly. Heyy, AGES ago asda sold an ear flapping dog wearing a pumpkin costume and I really want to buy it but there’s none on ebay or anything!! Any tips?? I really want it.Is there like, a place where I can buy it?? My 9 year old used your pumkin templates and produced amazing result!! All my friends impressed!! Worth you seeing it let me know where to send it!!!! 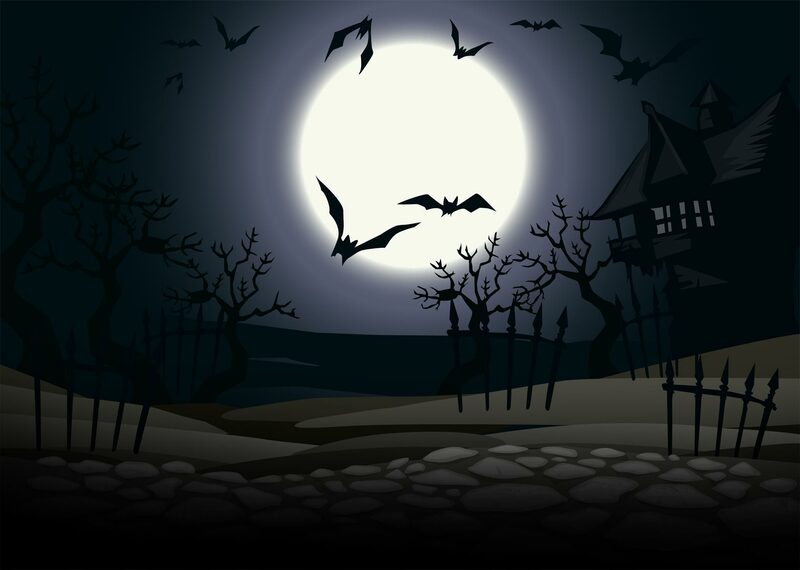 I am writing to ask if you know when the sneak peak for products of asdas halloween 2014 range will be released? This might sound silly but, I have just been on Matalan’s website and typed in halloween and it come up with only one item but, it was new and it was called a sound toy. It come in three type’s pumpkin, vampire and alien which, I remember seeing something familiar to this in 2009 in Matalan when they had amazing stock in and I have not seen anything like that since. I beleive that Matalan gradually outs out up products online starting from now to give it a build up. hi when is the sneak peak for 2014 coming???? Sorry, but we still don’t have all the info yet. We’re optimistic that this means that they might have something particularly awesome to unveil this year. im hoping for lots of cool props this year!!!! Also is it the week starting from this Monday commencing or next Monday we are expecting to see info. It’ll be out this week (week starting tomorrow). We too are hoping to see lots of cool props! We’ll also be featuring a load of great Halloween products from America in a series of special ‘Halloween in the US’ posts later on next month. Only downside is that by the time they appear on the site, it’ll be too late to get them delivered to the UK! hi when is the sneak peak for 2014 coming???? It was exposed to be yesterday??? What day this week are we getting the review Mr Halloween? Hey! I said this week, not yesterday! We’re as excited as you are. Don’t worry, it’ll be here soon. why can you not confirm a day? What do you mean joe? Are they putting it up today? can you give me a day when it will start. you said it’ll be out this week (starting tomorrow) on Saturday confused. We’re still waiting on the info from our main source, so naming a day is going to be difficult. But when we do publish the information, we’ll be sure to shout about it! Just keep an eye on the site, or via twitter/Facebook and you’ll know as soon as it’s up! Will it be definitely be up by Sunday and no later? It’s the 29th and still no post about ASDA!!!!! see if Scotland becomes independent will you still be doing you asda Halloween in Scotland. It the end of the week and apparently the sneak peak for ASDA was supposed to be up this week, haha. this could mean with got a lot of stuff this year or I have now idea what’s going on. Very true Joe, it better be good as we have had to wait this long, haha. STILL no news to post yet I’m afraid. However we’re still expecting some info on the site this week PLUS a video showing some of the products in action by next weekend/early next week. Asda will probably start putting out their stuff on the weekend of the 12th. However, as most of you are aware, it usually takes a while for them to get the whole lot out… So it’ll pay to wait a week or two for the full Asda Halloween experience! Also wanted to say thanks for being so active! You’ve made us think that we should totally start a forum on the site. Hopefully very soon! mr Halloween: see if Scotland becomes independent you asda still there Halloween stuff. It’s an interesting question Joe. I’d like to think that it won’t make any real difference. They wouldn’t pull out when they have stores established. I did read that it could make Asda even cheaper, so if you live there, you could be quids in! Any news yet Mr Halloween? So excited! YES! We have news! We were at the Asda Halloween press event today and news will be on the site very soon. Some very cool stuff coming for Asda’s Halloween 2014 range! Thankyou for the reply, much appreciated! Cannot wait to see all the new props!!!!! Can you confirm a day that it will be up now? Not as cheap as ASDA though. When will the Halloween stock be in the stores?